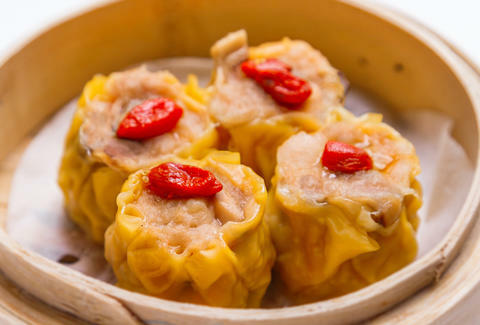 If you’re looking for a place to impress your relatives coming into town this holiday season without going broke, look no further than Tim Ho Wan, the Hong Kong-based dim sum restaurant that also happens to be the cheapest Michelin-starred restaurant in the world. The East Village location is set to soft open this Friday, December 16th at 11am with an official grand opening in January. Although Tim Ho Wan has multiple locations across Asia and Australia, this is the chain’s first US location. Because of the Michelin stars, lines at the Hong Kong locations of Tim Ho Wan are often hours-long and wrap around the block, so prepare to arrive early or stand in the cold for a while for signature dim sum options like prawn dumplings and baked buns stuffed with barbecue pork, all for under $5. New York-exclusive dishes include custard-filled French toast and deep-fried vegetable spring rolls. Operating hours for the soft opening period will be 11am-3pm and 5pm-10pm daily. Ciera Velarde is an editorial production assistant at Thrillist who believes in the healing power of great (and cheap) dim sum. Follow her on Instagram.